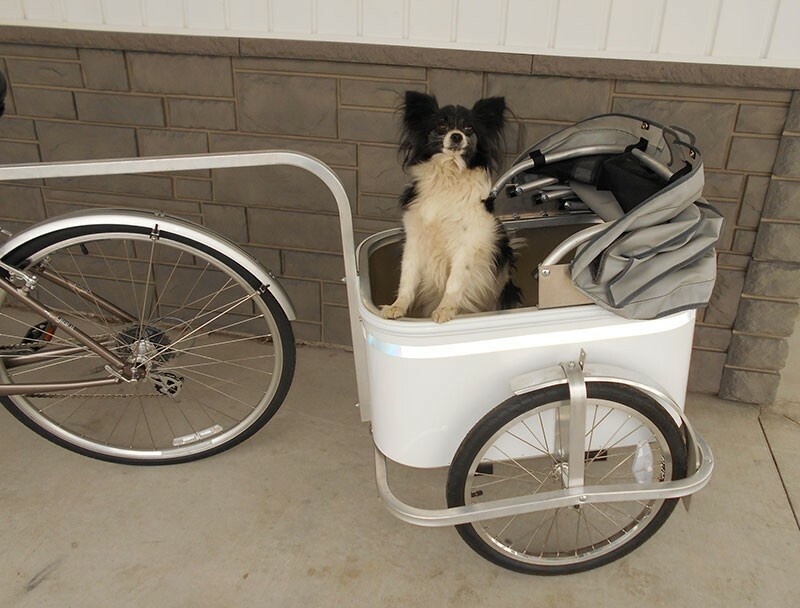 Pamper your pet as you enjoy the outdoors on your bicycle. The carts have a quick rubber donut hitch that hooks just under the bicycle seat. The convertible style top folds back for easy pet access and snaps down on the front to secure the pet inside the trailer. The cart may also be used as a pushcart. 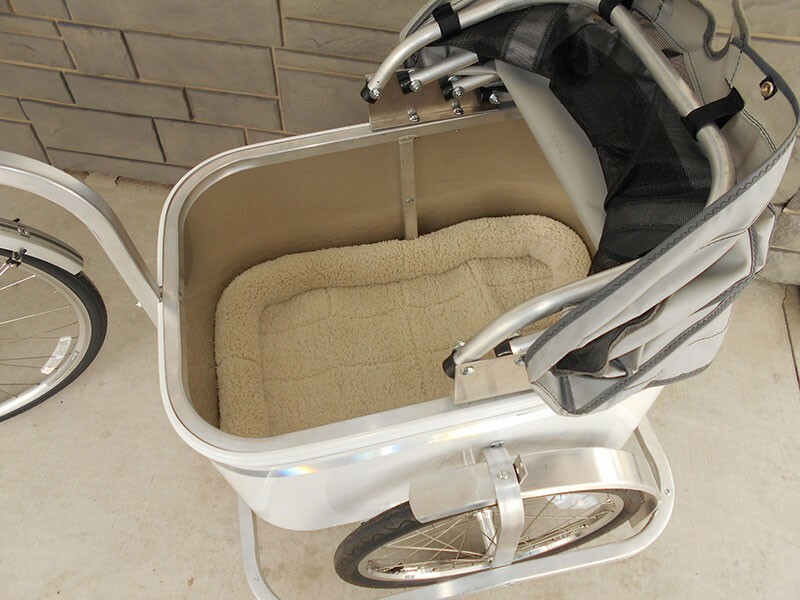 The handle is at a very comfortable height to walk and push this lightweight cart during shopping trips or walking. No additional hitch is needed on the bike, making these carts easily used on any bike. A Kick down stand is standard. 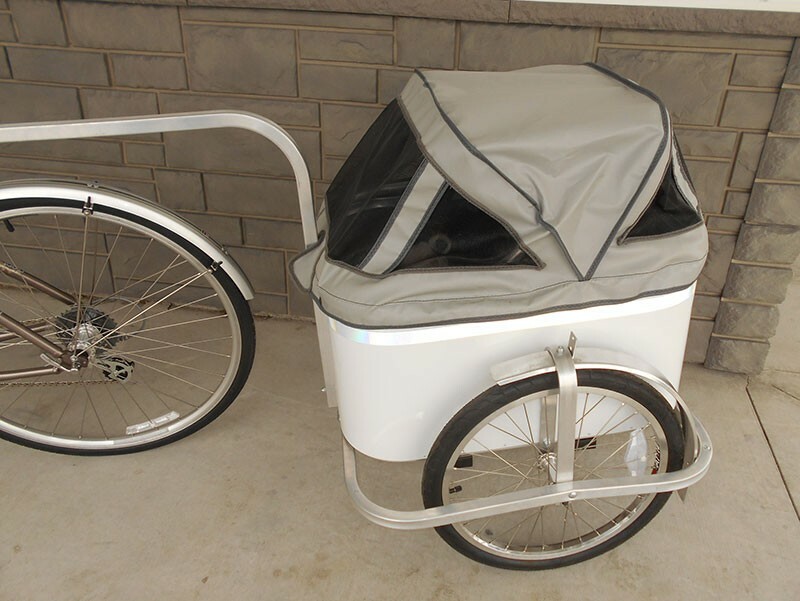 We have added a heavy duty folding canvas cover to our already popular aluminum bicycle trailer. The convertible style top folds back for easy pet access and snaps down on the front to secure the pet inside the trailer if they become excited to see other pets along the way. Heavy waterproof canvas is the same used by the Amish to build tents. The screen mesh is specially designed for pets to use on screen doors. It provides 150 lbs breaking strength to hold pets from tearing through. Heavy gauge aluminum tubing on the cover and aluminum trailer is designed to last for years of use. Sorry, we do not recommend or endorse the use of these carts for the transport of children; because they are not padded or built with child restraints. Our small bicycle cargo trailer measures inside 25” x 17-1/4 x 12-1/2 deep, outside measures 28” x 20” and has 20” bike tires. 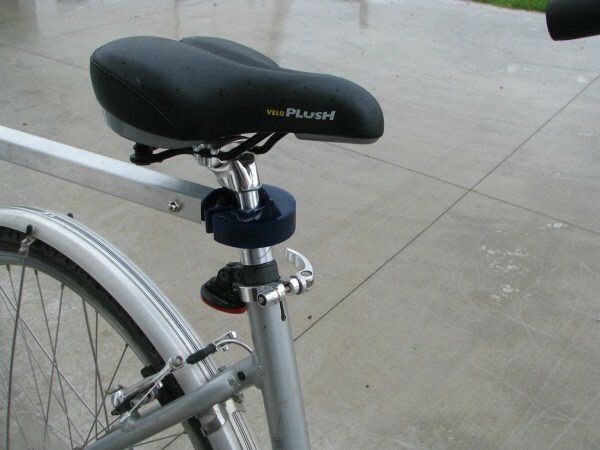 Fender light brackets are included as pictured to add your own lights or additional reflectors. 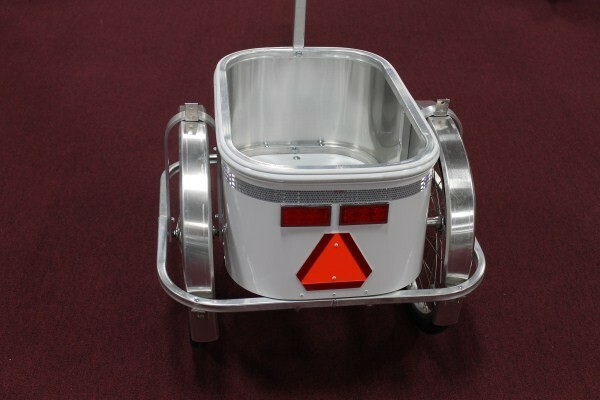 The carts come with the orange slow-moving vehicle triangle and reflective tape on the back and a silver reflective tape wrap all around the top of the trailer. Does not include the pet bed as pictured. We also offer different sizes and just the bicycle cargo trailers. Click Here for more info.